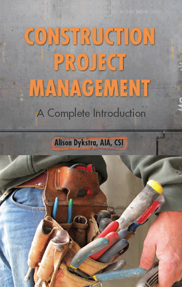 The list below is the glossary to Construction Project Management by Alison Dykstra. For the glossary as a separate PDF file, click here. AIA A201 – General Conditions published by the American Institute of Architects. Activity – an individual task. Activity-on-node (AON) – a type of network diagram in which individual activities are represented by a node connected by arrows to other activities with which they have a dependency. Addenda – formal changes or clarifications issued by the owner or architect during a bidding process. Additive alternates – design adjustments that are priced as separate additions to a base bid. Additive change – a change that adds to the scope, cost, or time of a contract. Advertisement to bid (notice to bid) – a public solicitation for bids. Agency construction management – a type of construction project delivery method whereby the CM, who is hired early in the process, works as the owner’s agent but does not do any of the physical work. Agreement – the contract document that legally obligates the signing parties (such as the owner and the contractor) and states certain contractual facts about a specific project, such as the contract price and completion date. Alternates – design adjustments that are priced as separate additions or deletions to a base bid. American Institute of Architects (AIA) – a professional organization for architects in the United States that provides education, advocacy and other support for the profession and the construction industry. Application and certificate for payment – the form on which a payment request is made by the contractor and certified by the architect. Arbitration – a dispute resolution technique that uses a trained arbitrator to make a ruling, which is binding (typical) or non-binding, depending on the terms of the contract. As-built drawings – drawings completed by the contractor that identify any changes made to the conditions or dimensions of the work relative to the original documents. Associated General Contractors (AGC) – a trade organization dedicated to supporting the commercial construction industry, improving jobsite safety, expanding the use of new technologies and strengthening contractor/owner dialog. At-risk construction management – a type of construction project delivery method whereby the CM, who is hired early in the process, works as the owner’s agent during pre-construction and as the general contractor during construction. Authority having jurisdiction (AHJ) – an agency with designated authority to provide compliance inspections and approval for a project. Local building departments are often the AHJ. Award – procurement of a contract; selection of a winning bidder. Back-charge – money charged to a subcontractor for work that the general contractor is forced to complete with his or her crews because the subcontractor has failed to do so. Bar chart (Gantt chart) – a simple graphic representation of a schedule that relates the progress of activities to a timeline. Bid – a price quote presented by a contractor that identifies the price for which the contractor offers to complete work. Bid bond – a construction bond that insures an owner against the financial risk of a low bidder not executing a contract. Bid documents (bid package) – the collection of documents (including drawings, specifications, agreement forms, general conditions, and other documents) used to make and obtain bids and to define the requirements of the work and the process that the contractor must follow when submitting a bid. When a construction contract is executed, most of the bid documents become contract documents. Bid estimate (final, detailed, unit price estimate) – a cost estimate based on the most detailed design information developed by the contractor (or bidding contractors) after the design drawings and specifications are completed. Bid package (bid documents) – the collection of documents (including drawings, specifications, agreement forms, general conditions, and other documents) used to make and obtain bids and to define the requirements of the work and the process that the contractor must follow when submitting a bid. When a construction contract is executed, most of the bid documents become contract documents. Bid schedule – a rough schedule, based on project milestones, that a contractor puts together in order to develop his or her bid. Bid shopping – an unethical practice that involves a contractor sharing subcontractor bids with other subcontractors in an effort to get lower prices. Bid submittal – a contractor’s response to a bid package that typically includes the contractor’s price for completing the work plus backup documentation. The bid submittal must be made exactly according to the requirements of the bid package. Bidder’s questionnaire – a form designed to determine a bidder’s qualifications for a job. Bidding – a process in which several contractors compete to get a job. Bidding period – the period of time during which contractors develop bids. Bonds – a three-party agreement between a contractor, an owner, and a surety, that guarantees the surety will cover the obligations of the contractor. Breach of contract (default) – failure to live up to the terms of a contract. Builders (contractors or constructors) – individuals or firms that agree to construct a facility in accordance with contract documents. Building codes – local building laws put in place to promote safe practices in the design and construction of a building. Building information modeling (BIM) – a process of gathering and managing information that uses virtual (typically, 3D) models as a tool for design, construction, and facilities management. BIM software enables information on systems, costs, and scheduling to be incorporated so that design, budget, and installation assumptions can be extensively evaluated and tested prior to construction. Buying out the job (procurement) – the process of finalizing subcontracts and issuing purchase orders for material and equipment. Capacity – the ability and skill of a contractor to complete a project; also, the competency or ability of a party to understand the terms of a contract. Capital – the amount of cash available to a contractor. Certificate of occupancy – a document issued by the AHJ that states that a project is in compliance with regulatory requirements and may be occupied. Change directive – a mechanism for making changes in the work without the contractor’s prior agreement regarding price and/or scope of work. Change order (modification) – a written agreement between the owner and the contractor (and, on most jobs, the architect) to make a change in the terms of the contract. A change order (including a change directive) is the only legal means of changing a contract after the award of a contract. Change order proposal – a contractor’s proposal for cost and time impacts of a proposed change in the work. Change order request – a document from the architect asking for a change order proposal from the contractor. Character – the integrity and honesty of the owners and the senior staff of the construction company and their proven willingness to meet their obligations and commitments. Chronology (or stages) – the process of moving a project from an idea to use. City location factor – used to adjust the national average costs of materials and installation shown in RSMeans cost data publications to those at specific locations. Claim – a demand by one party seeking an adjustment in the terms of a contract. Close-out – the process of completing the terms of a contract. In construction, close-out includes completion of the physical work (construction close-out), completion of fulfilling the terms of a contract (contract close-out), and final evaluation by the contractor (contractor close-out). Closed projects – construction jobs that are negotiated or bid between a few select contractors. Commercial sector – a sector of the construction industry that includes offices, large apartment complexes, theaters, schools, hospitals, and other such facilities. As with residential construction, commercial projects are usually designed by architects with engineers’ support. Commissioning – a practice that involves a formal review of all parts of a building’s systems to ensure that the project meets (and will continue to meet) certain energy objectives. Competitive bidding – the process of selecting a contractor that is based on several contractors competing against each other to be awarded a contract to do work. Typically (but not always), the contractor with the lowest bid gets the job. Conceptual estimate – a cost estimate based on very little design information and using gross unit pricing to determine the project cost. Concurrent – activities that can happen at the same time. Conditions, general and supplementary – the parts of a contract that define the basic rights and responsibilities of the parties. Consideration – something of value promised by one party to another in exchange for something else; consideration is one of the requirements for a valid contract. Constructability review – review of materials, systems, and installation methodologies by experienced contractors to ensure that a project can be built efficiently. Construction – the execution of physical work as outlined by contract documents. Construction change directive – a mechanism for making changes in the work without the contractor’s prior agreement regarding price and/or scope of work. Construction documents – the written and graphic documents prepared or assembled by the architect for communicating the project design for construction and administering the construction contract. Construction drawings (working drawings or plans) – the detailed plans developed by the architect that are part of the construction documents. These drawings identify the layout and dimensions of a project. Construction management – the process of coordinating, monitoring, evaluating, and controlling a construction project; also a project delivery method; not to be confused with the specific delivery method known as Construction Management. Construction Management (CM) delivery method – a delivery method in which a contract manager is hired early in the process and acts as the owner’s representative. CM may be agency CM in which the CM manages the construction but does not do the work, or at-risk CM in which the CM performs as the general contractor following completion of design. Construction Specification Institute (CSI) – a membership organization founded to improve the specification practices in construction and related industries. Construction time – the amount of time a contractor has to complete work. Continuation sheet – a payment document that identifies current amounts due, how much has been billed, and the balance remaining for each item. Contract – a legally binding agreement between parties. Contract documents – the information that defines the legal terms of a contract. Contract time – the amount of time the contractor has for completion of the physical work. Contractors (constructors or builders) – individuals or firms that agree to construct something in accordance with contract documents. Control log – a mechanism for tracking information and documents on a job. Controlling – a key function of project management, in which, after tracking and evaluating, a project’s schedule, cost, or quality are brought back in line with the project baseline. Correction period – a period (typically, one year) during which a contractor is obligated to correct deficiencies and complete any work not previously noted. Cost plus (a fee) contract – a type of contract in which the owner reimburses the contractor for actual costs and pays a bid or negotiated fee for overhead and profit to the contractor. Cost plus guaranteed maximum price (GMP) contract – a cost plus contract which has a cap on the final cost. CPM – see Critical path method network diagram. Crashing the schedule – accelerating the work. Critical activities – activities that if delayed, will delay the entire project. Critical path – the unbroken chain (or chains) of activities that have no extra time built in and which, if delayed, will cause the entire project to be delayed. The critical path determines the minimum project duration. Critical path method (CPM) network diagram – a network diagram that identifies activities that must be completed on time or the entire project will be delayed. Daily job report – a form used to track the progress of work and daily activities on a jobsite. Davis-Bacon Act – a law stating that labor on federal projects or federally assisted projects must pay workers no less than the local prevailing wages and benefits. Deductive alternates – design adjustments that are priced as separate cost reductions to a base bid. Deductive change – a change that reduces the scope, cost, or time of a contract. Default (breach) – failure to live up to the terms of a contract. Deliverable – an outcome; something specific that needs to be accomplished. Delivery method – the organizational structure for completing a project. Demobilization – the process of physically moving off a construction site at the completion of construction. Dependency – the connection or linkage between individual tasks that make up a project. Descriptive specification – a method of specifying that provides product details without mentioning a brand name. Design – the process of developing a project plan that meets an owner’s vision within budget, site, regulatory requirements, and other constraints. Design development – the stage of the design process in which a designer (an architect or an engineer) refines the design and makes decisions regarding layout, materials, and systems and takes the design to approximately 60 percent completion. Design information – the information about a construction project provided to bidders or contractors in the plans and specifications. Design phase – the stage of a project in which a designer (an architect or engineer) develops a design that meets the owner’s vision and goals and creates the documents necessary to estimate the cost for the project and to enable a contractor to build it. Design-bid-build (traditional) – a delivery method in which the GC is hired at the completion of design. Design-build – a delivery method in which the owner has one contract with a single construction/design firm. Design-negotiate-build – a variation on design-bid-build, in which award of the general contract is made following negotiations between several general contractors and the owner. Designer – architects or engineers (A/E), licensed professionals who provide planning, design, and construction administration services for a project. Architects are typically the designers of buildings; engineers typically design infrastructure and complex commercial and industrial projects. Detailed estimate (bid, final, or unit price estimate) – a cost estimate based on the most detailed design information developed by the contractor (or bidding contractors) after the design drawings and specifications are completed. Details – drawings that graphically represent blow-ups of specific elements to show how products or materials fit together. Developer – a private owner who coordinates the tasks required to create a project. Direct project costs – the labor, materials, and equipment expenses directly associated with the items that will become part of a physical structure. Discount – a reduced price offered by suppliers for prompt payment by the contractor. A discount might be stated as “2 Net 10,” meaning the supplier will give a 2 percent discount if payment is made by the tenth of the month. Dispute – a claim that has not been satisfactorily resolved. Dispute Resolution Board (DRB) – a board of three industry experts that works with disputing parties to resolve the dispute. Divisions – broad categories of construction (such as concrete, masonry, finishes, etc.) as defined by the Construction Specification Institute’s MasterFormat. Drawings (construction drawings, plans) – the portion of the contract documents that are the graphic representation of the work to be completed. Duration – the amount of time required to complete an activity. Elevations – drawings that graphically represent a building as if the viewer is looking straight at it at eye level. Estimate – an educated guess, based on the best available information, of what something is going to cost, usually in dollars or time. Estimate summary – a summation of final project costs prepared by a contractor prior to submitting a bid. Estimator – one who calculates the probable cost of something. Exclusion – a piece of work or service that is outside the contractor’s scope of work and is so identified in the contract. Experiential information – a person’s level of experience with a type of work. Fast-track – a job in which construction starts before the design process is complete. Projects that are fast-tracked have compressed schedules and therefore can be completed faster than those that use sequential construction. Feasibility – the process of assessing the desirability, cost, and potential of a project so that a decision can be made regarding whether to move ahead. Fee – the amount paid as remuneration for services. In construction, the fee is typically overhead plus profit. Field question – a request for clarification made to the architect. Final estimate (bid, detailed, or unit price estimate) – a cost estimate based on the most detailed design information developed by the contractor (or bidding contractors) after the design drawings and specifications are completed. Financial feasibility – a process of assessing a project’s potential from a cost perspective. Finish to finish – a project dependency in which one task cannot be completed before some other task has also been completed. Finish to start – the most frequently-used type of project dependency, in which one task cannot be started before some other task has been completed. First-tier subcontractor – a specialty contractor hired by a general contractor to perform specialty work on a project. First-tier subcontractors may hire their own specialty contractors (second-tier subcontractors). Fixed price contract (lump-sum contract, stipulated-sum contract) – a type of contract in which a specified amount of work is provided by the contractor for a set price that is known up front. Float (total float) – the amount of time that a task can be delayed without affecting the completion time of the overall project. Floor plans – drawings that graphically represent a building using horizontal slices through the structure. Flow-through clause – terms included in one contract that are incorporated into a subcontract. Foreman – the person responsible for direct supervision of a contractor’s workers. Gantt chart – see Bar chart. General conditions – the contract document dealing primarily with the terms and conditions of the work that apply to the work as a whole and that can be applied to multiple projects. General conditions costs (general requirements costs, indirect project costs) – expenses that are directly linked to the cost of the work but not to a specific task or subcontract. General contractor (GC) – an individual or firm hired by and responsible to an owner for coordinating the completion of a construction project. The GC hires subcontractors and suppliers. General requirements costs (general conditions costs, indirect project costs) – expenses that are directly linked to the cost of the work but not to a specific task or subcontract. Going out to bid – presenting a project to contractors so that they can submit a price to build it. Green building (sustainable construction) – projects that seek to minimize or eliminate negative impacts on the natural and human environment. 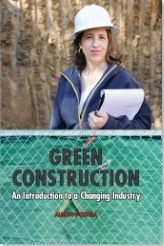 Greenwashing – misrepresenting the environmental benefits of a product or structure. Guaranteed maximum price (GMP) contract – a cost plus contract which has a cap on the final cost. High performance – a term sometimes used interchangeably with “green” or “sustainable” but which tends to focus on energy systems. Impact analysis – the assessment of the effect that some change will have on a project. In the field – at a jobsite. Indirect business costs (overhead) – costs associated with running the contractor’s business and not directly billable to any specific job expense. Indirect project costs – see General conditions costs. Industrial sector – a sector of the construction industry that includes refineries, electrical stations, chemical processing plants, factories, and similar facilities. Industrial projects are typically highly technical and specialized. Infrastructure – a sector of the construction industry that includes transportation and service projects such as roads, tunnels, bridges, ferries, and subways. Infrastructure is typically publicly owned and funded. These projects are designed by engineers and require specialized licensing of the contractors. Instruction to bidders – one of the bid documents; it gives the exact requirements for prospective contractors’ bids. Insurance – a means of protecting someone against a future loss. Integrated project delivery – a project delivery method in which all primary team members (the owner, architect, general contractor, engineers, and major subcontractors) are brought on board at the same time (during design), and, using sophisticated computer modeling and information sharing, are able to collaborate in unusually effective ways. Interest – the money a lender charges to borrow money. Invitation to bid – a solicitation for bids made by an owner to select contractors. Job logic – the sequence of activity linkages. Jobsite layout plan – a plan developed by the general contractor before mobilizing onto the site that graphically identifies existing conditions and locations for temporary utilities, fencing, access, and so forth. LEED (Leadership in Energy and Environmental Design) – a voluntary rating system developed by the U.S. Green Building Council that provides a way to measure and give clarity to the definition of what makes a building green. Labor burden – costs that are added to the direct wage of a worker, including fringe benefits (such as vacation and health) as well as social security and other taxes. Lawfulness – a condition of contracts that says the law will not enforce a contract for something that is not legal. Letter agreement – a contract in the form of a letter between the parties. Letter agreements contain the elements of standardized agreements. License bond (contractor license bond)– a bond that contractors are required to purchase as a condition to being licensed. Lien – an encumbrance that affects or limits title to a property. Lien waiver (release) – a document used to give up lien rights in exchange for being paid, typically submitted with a payment request. Line of credit – unsecured loan through a bank, which can be used as short-term financing. Linkages – a representation of task dependencies in the diagram of a project. Liquidated damages – a previously agreed-upon amount of money the contractor is required to pay an owner if construction is not completed on time. Litigation – the process of using the court system to resolve a dispute. Litigation involves hiring legal counsel, preparing necessary documentation, and scheduling an appearance before a judge. Litigation may or may not end in a jury trial. Logic diagrams (network, precedence, PERT diagrams) – a tool for making scheduling decisions and a way of representing a schedule that show the flow of activities and their logical ties to each other as networks instead of items along an axis. Long-lead items – materials or products that have special manufacturing or delivery requirements that involve extra time. Look-ahead schedules (three-week, updated schedules) – short-term schedules, typically developed every three weeks by the superintendent, that provide information on upcoming activities. Lump-sum contract (fixed price contract, stipulated sum contract) – a type of contract in which a specified amount of work is provided by the contractor for a set price that is known up front. Master construction schedule – a comprehensive and detailed schedule the contractor develops and uses as a baseline overview of the entire job and as a tool to control the job. MasterFormat – a work-based master list of numbers and subject titles, developed by the Construction Specification Institute, that organizes information about a project. Means, methods, and techniques – how the contractor intends to complete the work. Mechanic’s lien – a technique unique to the construction industry that provides a way for anyone improving the value of real estate to get paid by putting an encumbrance on the title to the property. Mediation – a dispute resolution technique that brings the parties together with the aid of a trained mediator (facilitator) to discuss the problem and find a solution to which both parties can agree. Milestone – an important event that indicates an event or point in time. Typical milestones are bidding, award of contract, notice to proceed, start of construction, substantial completion, and owner move-in. Minor change – a change that results in no adjustment in cost or time. Mobilization – the process of moving personnel, equipment, and materials onto a jobsite so that the physical work can begin. Mobilization typically follows the owner issuing to the contractor a notice to proceed. Mock-up – a full-scale model built for testing or evaluating details. Modification – a change to the contract price or time. A modification can be a change order, a change directive, or a minor change in the Work. Multi-prime contract – a project in which the owner has contracts with several prime contractors. Mutual agreement – a key ingredient of contracts under which all parties must agree to the terms of the contract. Negotiated contract – a method of selecting a contractor in which a few select contractors are asked to look at early design documents and put together a proposal. The owner then compares the proposals, interviews one or more of the contractors, and eventually selects a winning contractor. Negotiation – the process of reaching an agreement through discussion. Network bar chart – a diagram that uses interconnected lines and arrows to show how tasks relate to each other along a timeline. Network diagram (precedence diagram, logic diagram, PERT diagram) – a tool for making scheduling decisions and a way of representing a schedule that shows the flow of activities and the dependencies between them. Node – the representation of an activity in a network diagram. Notice of award – notification made to a winning contractor that he or she has gotten the job and that the owner intends to enter into a contract. Notice to bid (advertisement to bid) – a public solicitation for bids. Notice to proceed – a document provided to the contractor by the owner that gives the contractor access to the site and establishes the official start of construction time. Open projects – projects that allow any qualified contractor to bid. Open shop wage rate – wages paid to workers who are not in a union or on a federal project, and as agreed to by the individual worker and his or her employer. Operations and maintenance (O&M) manual – a manual provided to the owner at the completion of the work that gives critical operation, maintenance, repair, and replacement information. Order of precedence – the guidelines that identify which contract document “rules” in the case of a conflict among them. Overhead (indirect business costs) – costs associated with running the contractor’s business and not directly billable to any specific job expense. Owner – an individual, organization, corporation, business(es), or public agency that comes up with a project concept or idea, establishes the time and budget constraints, provides the site, figures out how to pay for the project, and hires many of the people who will help make it happen. Partnering – a dispute resolution approach based on mutual agreement by the parties to work together toward a mission statement developed by all the parties and a recognition of the project’s specific goals and objectives. Pay when paid clause – a clause in contract that specifies that payment will be made to one party (for example, the subcontractor) only after another party (the contractor) receives payment. Payment bond – a construction bond that provides assurance to an owner that subcontractors and suppliers will get paid by the contractor; typically issued with performance bonds. Payment request – see Application and certificate for payment. Performance bond – a construction bond that provides assurance to the owner that work will be completed in accordance with the plans and specifications at the bid price (plus any agreed changes). Performance specifications – a method of specifying that identifies the ends to be achieved, not how the ends are achieved. Permit – a document issued by one or more authorities having jurisdiction giving authorization to proceed with a project according to regulatory requirements. PERT (Project Evaluation and Review Technique) diagram – see Precedence diagram. Plug numbers – anticipated subcontractor expenses. Plug numbers provide the general contractor with a guideline for what the sub-bids should be and act as a price “placeholder” in case no sub-bids are submitted. Pre-bid conference – a meeting, facilitated by the owner or architect, before bids are due, to answer any questions the contractors may have about the bid process and the project. Pre-construction – the period between award of the construction contract and the start of construction and marked by intense planning by the contractor. Pre-construction meeting – a formal meeting, typically facilitated by the architect, that occurs after award of the contract but before construction begins, to review the responsibilities and expectations of each of the project participants. Pre-construction submittals – a document, product data, or physical sample that a contract requires the contractor to provide for review by the owner and/or designer before construction begins. Pre-qualification – a determination by an owner that selected contractors have the necessary abilities to complete certain types of work. Precedence diagram (network diagram, logic diagram, PERT diagram) – a tool for making scheduling decisions and a way to represent a schedule showing the dependencies between activities. Predecessor activity – an activity that comes immediately before another activity. Preliminary estimate – a cost estimate developed after some design is known and decisions are still being made. Preliminary notice – notification to an owner that someone has lien rights. Prevailing wage – pay rates set by the Department of Labor based on wages in a specific locality. Price a job – to do a cost estimate. Prime contractor – a contractor who has a direct contract with an owner. Private owner – an individual, organization, corporation, or business(es) that pays for a project (typically, through short-term construction loans) without using public dollars. Procurement (buying out the job) – the process of finalizing subcontracts and issuing purchase orders for material and equipment. Product data – information sheets that describe the model, type, physical characteristics, and performance details of a product. Productivity – how much a worker can accomplish in a given period of time. Program – a document that provides design objectives and requirements as guidance to a project’s designer. Programming – the process of identifying specific project goals and objectives. Progress payments – periodic payments made by the owner to the contractor. Progress payment procedures are outlined in the contract documents (the agreement and/or the general conditions); progress payments are typically made monthly. Project – a unique activity that has a beginning and an end, uses resources, is not routinely done, and requires managing. Project delivery – see Delivery Methods. Project manager – the member of a construction team who is responsible for the business end of a project, in contrast to the superintendent who is responsible for production. Project management – the process of coordinating, monitoring, evaluating and controlling , work in order to bring about the successful completion of a project. Project manual – a binder containing all the written documentation for a project. Proprietary specifications – a method of specifying that identifies the desired product by manufacturer, brand name, model, and so forth. Public owner – a public entity such as a local, state, or federal government, or a certain institution, whose project is paid for with public funds. Punch list – a list of minor adjustments and repairs that must be completed prior to the owner’s final payment to the contractor. Purchase order – a short contract form typically used to order materials and equipment. Quality – the attributes or properties of something (a product, material, or workmanship) as defined by the requirements called for in the contract documents. There are various levels of quality that can be specified and the contractor’s responsibility is to meet or exceed whatever is required. Quality assurance – refers to procedures before and during execution of the work to guard against defects and deficiencies. Quality control – measures and procedures, such as testing and inspections, for evaluating completed work. Quantity sheet – a sheet developed by the contractor’s estimator that tracks what has been measured in a take-off and the quantities of each material. Quantity take-off – the process of itemizing the amount of materials required for a job. RSMeans – a product line of Reed Construction Data, and a primary supplier of construction cost data. Rating – see Surety program. Reference standards – a method of specifying that identifies a required standard, such as ASTM, state, or federal. Request for a change proposal – a request from the architect that the contractor determine the cost and time impacts of a proposed change. Request for information – a request for clarification or information resulting from a field question. Request for payment – see Application and certificate for payment. Requisition – a request for payment from one party to another. Residential sector – a sector of the construction industry that includes both new construction and renovation of single- and multi-family residential properties such as houses, condominiums, and apartments. Buildings are often wood frame and fairly low-tech. Responsible bidder – a contractor who meets the bid requirements regarding qualifications, experience, and any other criteria deemed necessary by the owner. Responsive bid – a bid submittal that meets all the bidding requirements as outlined in the bid package. Retention (retainage) – a portion of a pay request that is commonly held back by the owner (and subsequently by the general contractor from the subcontractors) until the end of the job. Risk – something that can go wrong on a project, leading to potential financial loss. Rough-order-of-magnitude (ROM) estimate – a conceptual cost estimate that is completed early in the planning phase by the owner to determine if the project is affordable and to help define the scope of work. Samples – physical examples of products such as carpet, tiles, and light fixtures. Schedule – a timetable, typically shown in graphic form, that describes the order in which project activities will happen, details how long each activity will take, and tracks the progress of the work. Schedule of values – a budget outline created early in the construction stage that is not an accurate, detailed breakdown of costs but the expected payment amounts in the different categories; it is used to determine the monthly payments due. Schematic design – the first phase of design, which focuses on developing an overall form and layout for the project. Schematic drawings are not detailed and are used for analyzing design alternatives. Scope of work – the work as detailed by the drawings and the technical specifications. Second-tier subcontractor – a contractor hired by a subcontractor to perform specialty work on a project. Second-tier subcontractors may hire their own specialty contractors (third-tier subcontractors). SectionFormat – the organization of related units of information within the MasterFormat divisions. Sections – drawings that graphically represent a structure by showing vertical cuts through the entire building or a portion of the building. Self-performing – physical work that a general contractor performs with his own crews. Sequential construction – a job in which each stage of a project is completed before the next stage begins. Projects that are sequential take the longest to complete. Shop drawings – drawings that clarify the fabrication or production detail of an item, such as a roof truss or a metal duct. Site – a piece of land on which something has been or will be located. Site layout plan – see Jobsite layout plan. Solicitation – see Invitation to bid. Specialty contractor (specialty trade contractor) – a contractor who performs specialized activities. Specifications – written descriptions of the work that define the materials, the processes, and the quality of products and systems. The specifications and the drawings work together to provide the information contractors need in order to price and build a project. Speculation – something completed (such as a building) for an unknown buyer or user. Square foot estimate – an estimate that uses floor area to calculate costs after some design detail is available. Standards – formal regulatory requirements (such as a building code) or a voluntary rating system (such as LEED). Start to finish – a type of project dependency, in which one task cannot be completed, until some other task has been started. Start to start – a type of project dependency, in which one task cannot be started until some other task has also been started. Stipulated-sum contract (lump-sum contract, fixed price contract) – a type of contract in which a specified amount of work is provided by the contractor for a set price that is known up front. Subcontractor – a person who has a contract with another contractor. In construction, subcontractors are specialty trade contractors. Submittal – a document, product data, or physical sample that a contract requires the contractor to provide for review by the owner and/or designer. Submittals can include insurance certificates, manufacturers’ product information and samples, and shop drawings. Substantial completion – when the work or a portion of the work is sufficiently complete for the owner to use the building for its intended purpose. Successor activity – an activity that comes immediately after another activity. Summary schedule – a schedule developed to show progress in broad areas or milestones that can be used by those not requiring detailed information, such as an owner or funder. Summary schedules are typically in the form of a bar chart. Superintendent – the person on the contractor’s team who is responsible for the production of the project. Supplementary conditions – the conditions of a contract used to modify or expand the general conditions to reflect the needs of individual projects. Supplier (vendor) – a company that manufactures, distributes, or supplies products and services to a contractor. Surety – a company (often an insurance company) that sells construction bonds. Surety bond (construction bond) – a bond sold by a surety and used by an owner to manage risk on a project. Surety program (rating) – a rating given by a surety that specifies the maximum bond amount that a contractor can qualify to purchase. Sustainable construction (green building) – projects that seek to minimize or eliminate negative impacts on the natural and human environment. Take-off (“doing the take-off”) – the process of measuring construction drawings in order to quantify materials. Task – an individual activity within a project. Task sequencing – the order in which work activities are scheduled for completion. Termination (of a contract) – the voluntary or involuntary end of a contract. Tracking – a key function of project management, in which current progress of a project is monitored. Tracking logs – written records, maintained to track and manage the flow of information and products. Traditional delivery method – see Design-bid-build. U.S. Green Building Council (USGBC) – the developers of the LEED rating system; a 501(c)(3) nonprofit organization working to make green buildings available to everyone within a generation. Union rates – wages paid to workers who are members of a labor union and whose pay rate is established by the union and a project’s management. Unit cost – the cost of materials based on a typical unit for that product such as tons, square feet, linear feet, or cubic yards. Unit price contract – a type of contract in which the contractor bids a fixed unit price and, at the completion of the job, the total quantities are determined and payment is made to the contractor based on actual quantities. Unit price estimate (bid, final, or detailed estimate) – a cost estimate based on the most detailed design information developed by the contractor (or bidding contractors) after the design drawings and specifications are completed. Value engineering – a methodical analysis of ways to reduce the costs of a project or structure over its entire life. Vendor (supplier) – a company that manufactures, distributes, or supplies products and services to a contractor. Wage rate – rate (typically, by the hour) for labor, including costs such as social security, unemployment taxes, and health benefits in addition to the worker’s direct pay. Warranty – a promise by the contractor that materials, systems, and workmanship are as the owner should reasonably expect them to be. Work activity – a task. Work breakdown structure (WBS) – the way that work activities are organized. Work, the (scope of work) – the obligations defined by the contract documents. Zero net energy building – building that provides all of its own energy on an annual basis from onsite renewable resources or offsite renewable energy purchases. Zoning – a system of land use regulations. Zoning map – a map of a specific zoning district that graphically identifies allowable uses for every piece of land within a zoning district. Zoning ordinance – a law that describes what uses are allowed and what restrictions apply (such as maximum height and parking requirements) in a specific zoning jurisdiction.